It’s so much fun for us to find good ideas using Paper Source wedding products (things we had not thought of)! 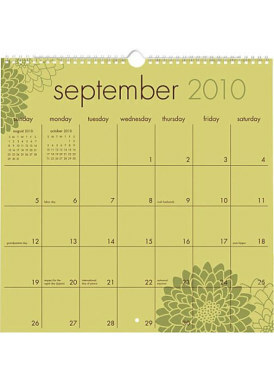 This bride, featured on marthastewartweddings.com had a very clever use for our Academic Grid Calendar. 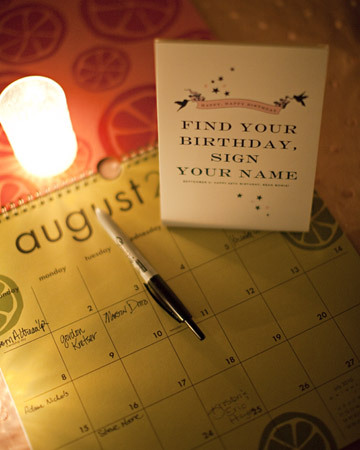 Enjoying sending birthday cards to friends and family, she asked that her wedding guests write their birthdays onto the calendar. Such a wonderful way to keep in touch and show you care! Absolutely wonderful idea…..why didn’t I think of that nearly 47 years ago when we got married. Where was “martha” then!! I LOVE LOVE LOVE this idea! So smart and fun. A great way to make your guests feel welcome and loved, too. that is awesome! and then you have a way to remember their birthdays too. this is def a creative new way to do guestbooks. I love it. It would have been so helpful at MY wedding. This is an amazing idea! I think I’ll do one for our annual family reunion next July! Love it!!! I’ve just created one that I’ll have printed/bound to match my daffodil theme. Thanks for the idea!